Medicine and Surgery, University of Barcelona, 1999. Research Degree, University of Barcelona, 2005. Advanced International Training Course on Transplant Coordination – TPM: Transplant Procurement Management. Barcelona University, Organización Nacional de Trasplantes (ONT), Organització Catalana de Trasplantaments (OCATT). Barcelona, Spain, November 1999. Tissue Bank Specialist Certification by AATB, 2003. Honorary Certification as CERTIFIED EUROPEAN TRANSPLANT COORDINATOR – CETC Board of Transplant Coordinators, Division of Transplantation, UEMS and ETCO. September 2011. Transplant Coordination Medical staff in H. Clínic de Barcelona (since September 1999-Today). Transplant Procurement Management (TPM) – DTI Foundation educational program since 1999. Medical Coordinator of tissue banks (ocular, skin and lyophilized bone) at the Transplant Services Foundation in Barcelona (2001- 2005). 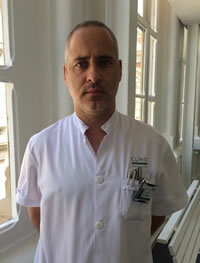 Coordinator of the Donation Unit at the Transplant Coordination Dpt., H. Clínic de Barcelona (2005-2009). Coordinator of the DCD Programs at H. Clínic de Barcelona (1999-2001 and 2005-today).